The 2018 Honda Navi Facelift might launch in August 2018. The cool and funky automatic scooter was launched 2 years back and is still to receive an update. It caters to the younger generation just out of their college. Currently, it is priced at Rs 42,784 (ex-showroom) with an ongoing instant cashback offer of Rs 5000. Honda Navi is a weird but interesting looking scooter. It looks like a bike but has an engine of an automatic scooter. It looks quite practical because it is smaller and lighter than other Honda scooters. Plus its priced under Rs 50,000 is another plus point. But still, the looks do not appeal to many people. The current Navi misses out on a lot of important features like a fuel reading gauge, semi-digital or digital display panel and more. Also, its fuel tank capacity is only 3.8 Litres. The 2018 Honda Navi facelift will get minor cosmetic updates with some extra features, that are necessary for it. 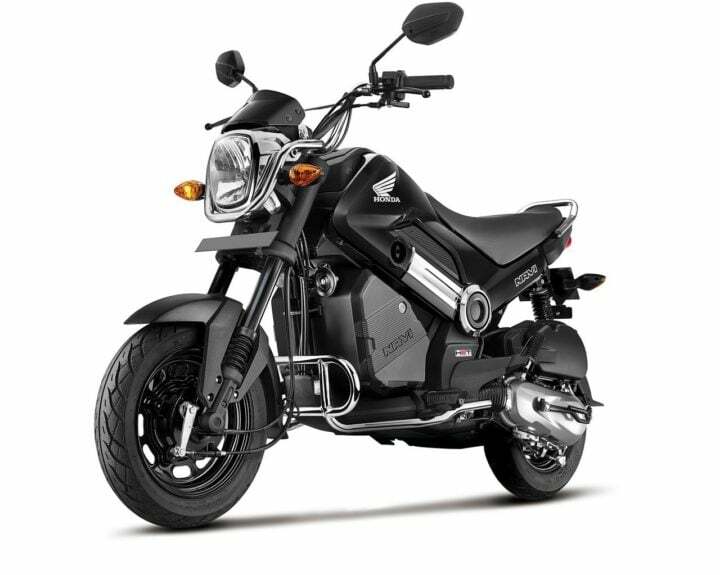 It features a 110cc engine, observed in all of the 110cc scooters by Honda. It weighs around 100 Kgs, which is quite light. Along with the scooter, a variety of customization options are offered. The refreshed scooter might launch by this August. Firstly, Navi is expected to get a fuel gauge along with a semi-digital instrument console. These are very important for a two-wheeler, which Navi was missing out on. Also, as there is not much storage space available, Honda will provide different accessories for more storage space. Accessories might not come complimentary and would have to be purchased. Also, it will get new colour schemes along with heavy graphics and decals. Barring some cosmetic updates and these feature upgrades, the 2018 Honda Navi Facelift will retain the same specs. The price of the scooter is expected to rise a little bit, but will definitely still cost under Rs 50,000. Powering the Navi is a 110cc HET engine that produces around 7.83 BHP worth of power and 8.96 Nm worth of torque. It runs on a CVT gearbox that is quite reliable. For suspension, it uses Telescopic forks in the front and Spring Loaded hydraulic suspension for the rear. It gets drum brakes for both the wheels. The mileage from this scooter is recorded around 60 KMPL. Also, it weighs quite less at 100 Kgs. It gets 5 colour options – Patriot Red, Hopper Green, Shasta White, Sparky Orange and Black. Also, customization options are available for the scooter, which include – Adventure Kit, Blue with Graphics Kit, Black Chrome Kit and Yellow with Graphics Kit. The 2018 Honda Navi Facelift will receive more colour and customization options.